Time for the second of the four asparagus sauces: Hollandaise. I’m not actually sure I’ve ever made a hollandaise sauce before. I’m sure I must have done, but certainly not in recent memory. Hollandaise sauce is basically a lightly cooked mayonnaise, except instead of whisking oil into egg yolks, clarified butter is used. Now, I do know that I’ve never ever clarified my own butter before. It’s something that’s always sounded like a faffle to make and I’ve managed to avoid it. 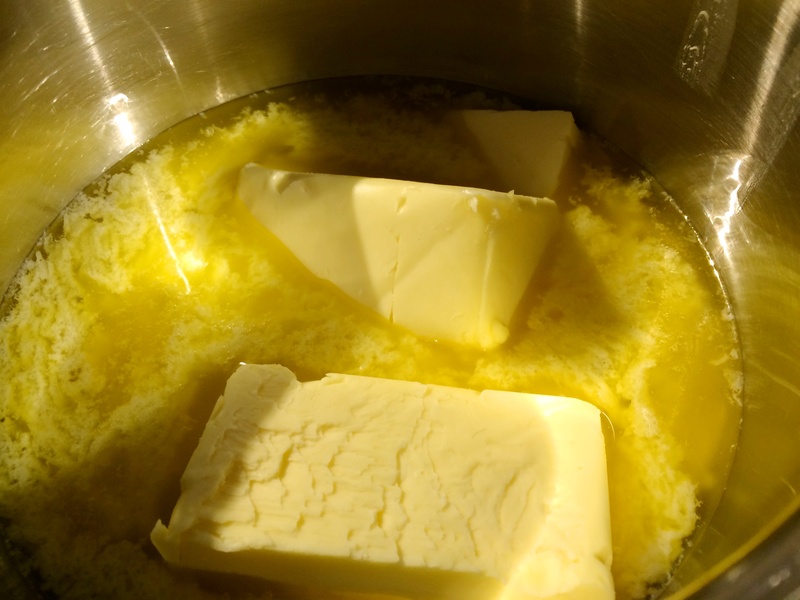 When called upon to use clarified butter, I’ve either just wimped out and used regular melted butter, or bought some ready-made ghee, which makes for a pretty decent substitute. Well, I need clarified butter for my hollandaise, so I’d better just pull myself together and get on with it. Reading through the instructions, it actually sounds pretty easy. I melt butter in a small pan and skim off the foam that rises to the surface. I leave it to sit for a few minutes and then carefully pour the liquid butter off the milky solids that have sunk to the bottom of the pan. Well, that was a doddle. Why on earth have I avoided that for all these years? 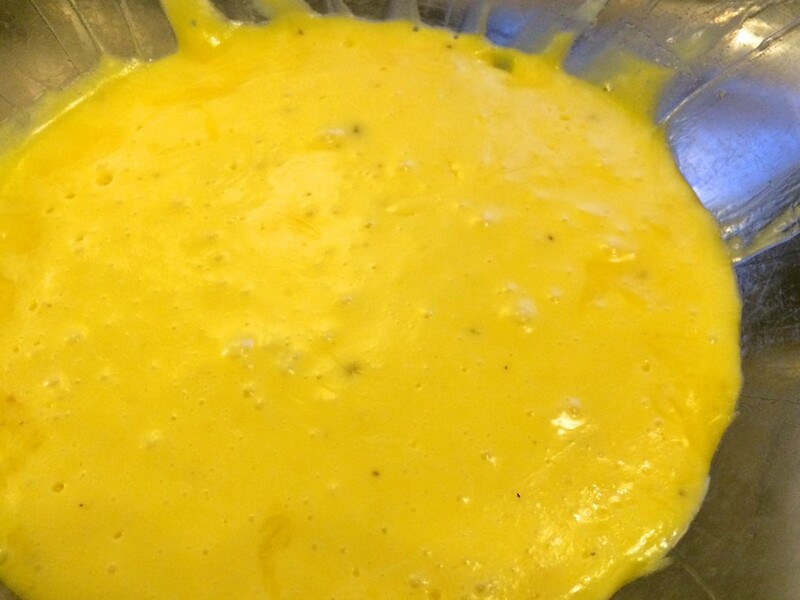 To make the actual sauce, I set a bowl over a pan of barely simmering water, and beat some egg yolks in it. 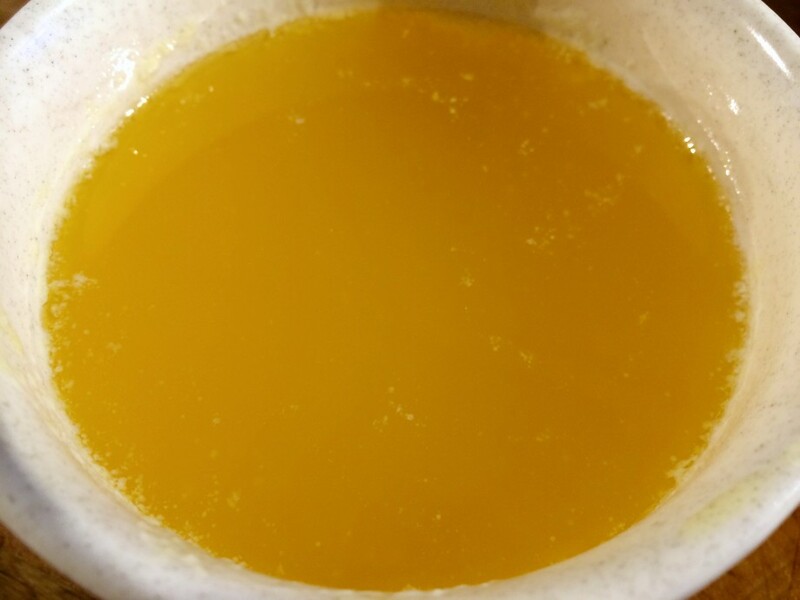 Then the clarified butter is added in a thin stream, whisking all the time – just as you would when making mayonnaise. Once all the butter is added, it does look rather like mayonnaise. I beat in some lemon juice and salt and pepper, transfer to a small bowl and serve it warm, with freshly cooked asparagus. Very nice – a sort of warm, lemony mayonnaise. It worked very well with the asparagus – I really should make this more often. 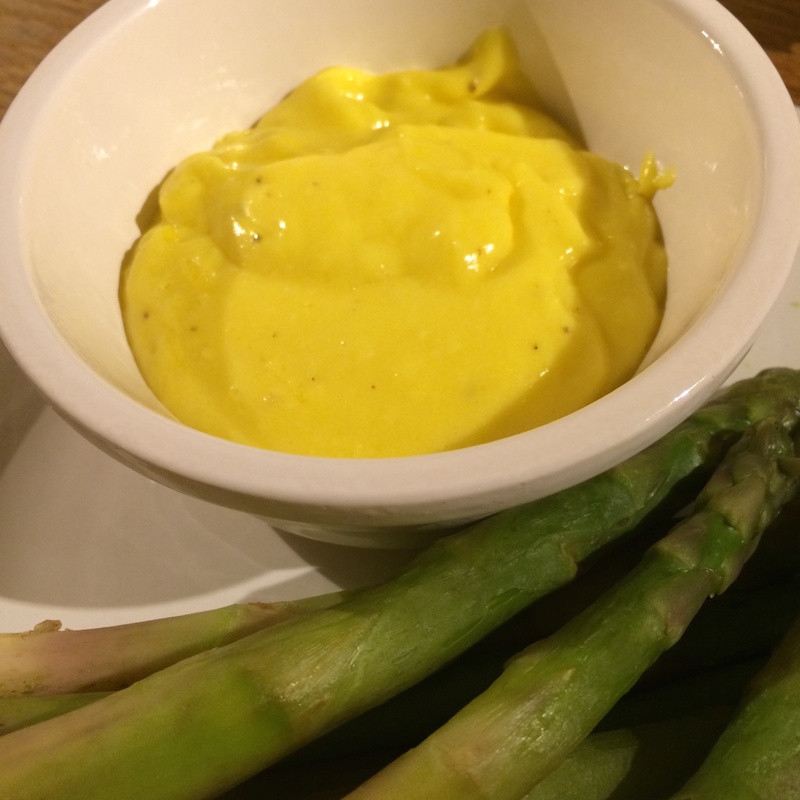 Big, sweet asparagus (I love this fat variety) and silky Hollandaise dip. The Hollandaise was very nice, not as creamy as I had imagined it might be, but very tasty. An excellent dip for the asparagus. I think my favourite so far is the lemon butter dip, but that’s because I love lemon.